You can use AFerry to book ferries to Turkey including Marmaris, Cesme and Fethiye. Using AFerry you will always get a great deal on your ferry to Turkey. See below for timetables and the latest special offers. Booking a ferry to or from Turkey couldn't be easier with AFerry. You can either use the booking form at the top left of the page. Or, if you see a price you like on this page, just select the number of passengers and click go. Turkey has a rich history and cultural heritage; its position between the two continents of Europe and Asia has given Turkey the influence of many different cultures throughout history. As such, Turkey is rich in sites of historical and archaeological interest. 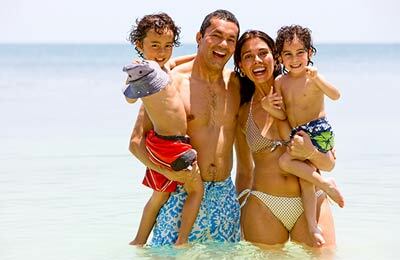 Turkey also boasts some splendid beaches to which tourists flock each year. Turkey is full of spectacular coastlines, incredible cuisines and a stunning array of mosques and castles that really make this country so much more original than any other country in the world. Unique in the fact that this country is half European, half Asian and its culture is a fascinating mix of Eastern and Western tradition that makes this country so popular with overseas visitors. There is an incredible amount to see, do and explore and some of the landscapes have been completely untouched by the recent boom in tourists to this mythical country. For travelling long distances around Turkey by public transport, there are generally two options available: plane and bus. Surprisingly, the planes tend to be cheaper, quicker and better organised! Buses are pretty well organised and you will often get offered complimentary meals and refreshments on board. It is always worth checking before you travel however to ensure that you don't get deposited somewhere on a ring road outside of your destination town. Buses are pretty well organised and you will often get offered complimentary meals and refreshments on board. Trains are to be avoided if possible. Although they are often cheaper than buses, they are much slower. 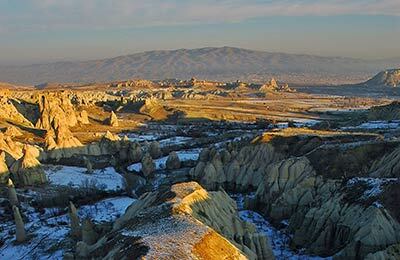 The rail network in Turkey is also very under developed and unhelpfully the network that is present is typically located far away from the places you will be wanting to visit as a tourist. Such, it would seem, is life. If you are going to be spending more than about a day in Turkey, you could get yourself an AKBİL, which gives you discounts on public transport. This is effectively a little buzzing machine that you buzz when you enter a tram or bus and it spends a little bit of credit to pay for the journey. If you use it again within a certain period of time (about 90 minutes at time of writing), it gives you a cheaper ticket, saving you money. When driving, bear in mind that the road signs in Turkey differ from those in the United Kingdom. In Turkey, green signs signify a motorway (and therefore normally a toll road) whereas blue signs signify other roads. The drink drive limit is about the same as in the UK and the use of mobile phones whilst driving is illegal. Dozens of generations of civilisations have marched their way through Turkey and have left behind more marvels than it is possible to shake a stick at. For example, you can still go and explore the ruins of Troy, complete with a replica wooden horse (and little windows)! If you have small children, it is likely they will enjoy climbing up and down the ladders to get inside of the horse - though it is advisable to go outside of any times that large parties of school children are likely to have the same idea. The ancient city of Istanbul is also well worth a visit. Legend has it that when the first Tsar of Russia was looking for a religion for his people, he sent out emissaries to many states in the known world. He was unimpressed with Catholic Christianity, and thought that the traditional Islamic belief in abstinence from alcohol would be incompatible with the Russian people's love of vodka. However, when his emissaries arrived in Constantinople, the city that is now Istanbul, they were taken away by the beauty and splendour of the city's churches, resulting in Russia taking Eastern Orthodox Christianity and making it their own. Even today, Istanbul is sure to be an experience to overwhelm your senses. 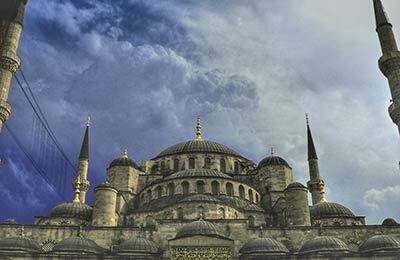 Of particular note are the Hagia Sofia and the Blue Mosque, two of the most beautiful buildings in the city that really show off the former glories of the Ottoman Empire. Please note that whilst Turkey is a secular country and the form of Islam held to by most is a moderate stream of Sufism, it is still a sign of respect to wear long clothes and for women to wear a headscarf when entering a mosque. The Hagia Sofia in Istanbul, a beautiful sight. Another must see building, this time located a short distance from the centre of the capital, is the Church of St Saviour in Chora. The insides of this Byzantine church are covered in an overwhelming display of frescoes and mosaics and show off the true beauty of Orthodox Christianity. There are many things to buy in Turkey, including silks, earthen ware and strongly flavoured honey. Bargaining is a must in Turkey, so be persistent, charming and determined. We strongly suggest, however, you don't try and buy antiques: trying to take antiques out of Turkey will result in a lengthy stay in one of its less luxurious prisons. The insides of this Byzantine church are covered in an overwhelming display of frescoes and mosaics and show off the true beauty of Orthodox Christianity.